We, Soares Engineers Pvt. 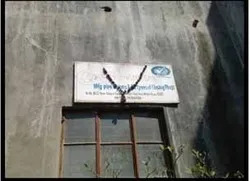 Ltd., Inaugurated in 1972, are well-known manufacturers, exporters and suppliers of a huge gamut of Hydraulic Fittings & Pipe Unions. Under this, we offer Oil Level Fitting, Industrial Fitting and Hex Head Fitting. We have positioned ourselves commendably in this competitive market by providing high quality products to our customers. 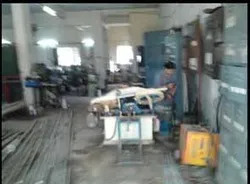 To bring forward the best quality products, we use highly advanced tools and machines like CNC, leather, drilling in the manufacturing process of these products at our well-equipped infrastructural unit. In addition, we have a highly qualified and trained group of experienced professionals, who continuously put in efforts for developing innovative products to meet the requirements of the end users. We have always been focused on maintaining the quality standards for our products with aid of stringent examination and periodic inspections. With the aid of hi-tech testing tools, our products undergo several quality examinations on various parameters to meet with international quality levels. Moreover, our spacious warehouse is able to store bulk quantities of products in a safe and hassle free manner. We serve some of the reputed industrial organizations like KSB Pumps Ltd., Intervalve (India) Ltd., Eagle Burgmann India Pvt. 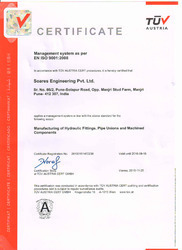 Ltd., Mather and Platt Pumps Ltd., Maschio Gaspardo India Pvt. Ltd. and JSW Steel Ltd.
We have gained prosperity with remarkable market reputation, owing to the efforts of our honorable director Mr. Nelson Soares. Adhering to ethical business policies, we have been able to set new benchmarks for the competitors. Owing to our hired personnel’s great contribution, we have been able to carve a favorable name in this industry. Our highly talented and adroit operation and management staff always works with sincerity and efficiency to develop innovative products. Owing to their professional attitude with best approach towards work, we successfully cater to clients’ demands within the stipulated period of time. We also arrange training to keep our professionals well-versed with the global technological advancements. 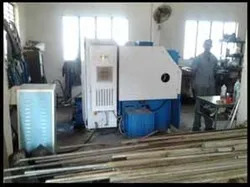 We are backed by a well-equipped infrastructure comprising of latest machines like CNC and special purpose machines. Our facility includes an operation and management unit for manufacturing first line products in a streamlined manner. Moreover, our manufacturing unit works under continuous power back up system for enabling hassle-free operations. In addition, we have an in-house R&D and testing facilities. To store our manufactured products, we are backed by a spacious and strategically located warehouse to arrange our products in a safe manner. We put stress upon the quality of our products. We maintain highest standards of quality while production. Therefore, we follow strict quality policy and measures to manufacture all our products, ensuring complete flawlessness. In order to make this sure, we obtain superior quality material from our vendors and manufacture the best products using the same. Starting right from the procurement of raw material till packaging of final products, our team of adroit quality controllers keeps a stringent vigil on all the processes, conducts thorough checks and tests on each product. Furthermore, they also make sure that our products conform to international quality standards. Having emerged as a reputed name in this business sphere, we have been able to attain complete satisfaction of our customers by providing them international quality grade products. Our offered products are highly preferred for their precise dimensions, optimal designs and longevity. We enable timely shipment to the clients’ premises. Our offerings are used across diverse sectors and thereby widely used in hydraulic & pneumatic equipments, hydraulic pumps, process pumps (for water & chemical) and pneumatic compressors. Adopting customer centric approach, we have garnered a rich client base across the nationwide market. Our entire efforts are aimed towards attaining maximum satisfaction of clients, meeting their urgent and bulk requirements within the specified time limits. In order to meet varied demands of clients, we have established a huge network base across the nation. Moreover, we provide free samples of products and also facilitate them with customized packaging option. Mather And Platt Pumps Ltd.
Maschio Gaspardo India Pvt. Ltd.